My next book, Nancy Parker’s Diary of Detection, is set in the early 1920s and features diary entries, letters and postcards. I’ve just been doing the final editing job on it. Where my heroine signs off a letter home ‘with a great big X’, my editor had asked in her notes whether people actually signed with kisses back then. Yay! Here was the answer, from primary sources, not just a quick – and, I have to say, sometimes frustrating – trawl of the internet. Editors are great like that – they ask you stuff you’d never think of asking yourself when you are deep in the business of writing a book. For this story I had researched early aeroplanes, cars, and 1920s clothing, but exactly when people started putting Xs at the end of their letters had never occurred to me. So I really ought to sign off this piece with a big X for my editor! Tags: 1920s, detective stories, editing, research. Bookmark the permalink. Previous post ← Quite a Character! Finding stuff out – so satisfying! The book sounds great! Thank you, Joan – I hope it will be. It’s going to look great with a real 1920s style to it. Thanks, Laura. By the way, I hope that’s a typo – 20s, not 70s? Though 70s fashion is interesting, too, and having a bit of a comeback this year. 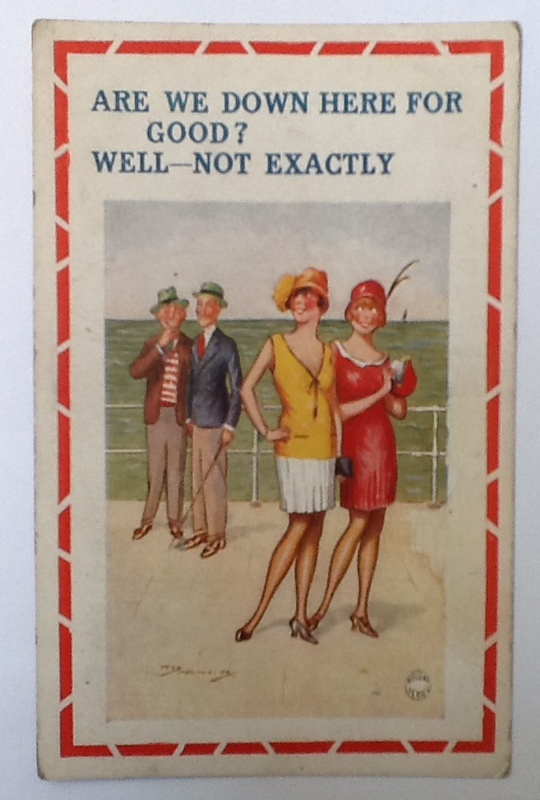 So interesting that people used postcards in such a way a mere 90-100 years ago! I hope postcards never go out of style, there is just something so special in receiving one even if it only says something really short but sweet like “Wish you were here xoxoxox”! I enjoyed that, thank you. 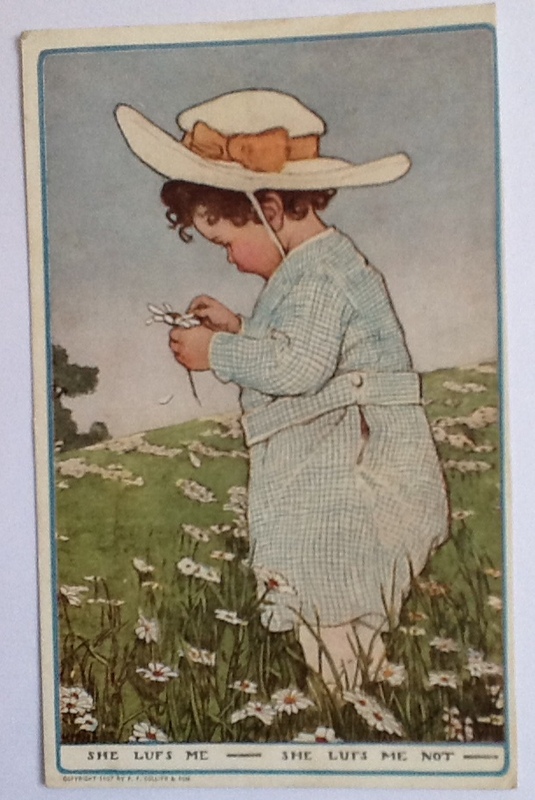 Is your ‘cute’ postcard a Mabel Lucie Attwell? I loved her drawings when I was a little girl.